What is the cheapest way to get from Orem to Orem Central Station? The cheapest way to get from Orem to Orem Central Station is to line 862 bus which costs $3 and takes 31m. What is the fastest way to get from Orem to Orem Central Station? The quickest way to get from Orem to Orem Central Station is to taxi which costs $12 - $16 and takes 7m. Is there a direct bus between Orem and Orem Central Station? Yes, there is a direct bus departing from 800 E @ 24 N and arriving at 800 S @ 1125 W. Services depart hourly, and operate Monday to Saturday. The journey takes approximately 26m. How far is it from Orem to Orem Central Station? The distance between Orem and Orem Central Station is 2 miles. How do I travel from Orem to Orem Central Station without a car? The best way to get from Orem to Orem Central Station without a car is to line 862 bus which takes 31m and costs $3. How long does it take to get from Orem to Orem Central Station? The line 862 bus from 800 E @ 24 N to 800 S @ 1125 W takes 26m including transfers and departs hourly. Where do I catch the Orem to Orem Central Station bus from? 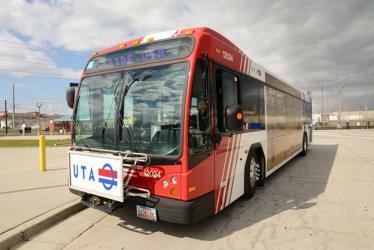 Orem to Orem Central Station bus services, operated by Utah Transit Authority, depart from 800 E @ 24 N station. Where does the Orem to Orem Central Station bus arrive? 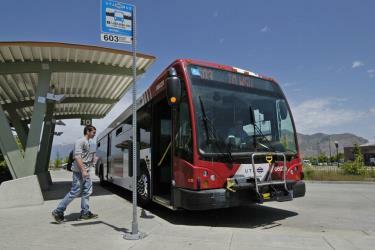 Orem to Orem Central Station bus services, operated by Utah Transit Authority, arrive at 800 S @ 1125 W station. Where can I stay near Orem Central Station? There are 88+ hotels available in Orem Central Station. Prices start at $69 USD per night. What companies run services between Orem, UT, USA and Orem Central Station, UT, USA? Utah Transit Authority operates a bus from Orem to Orem Central Station hourly. Tickets cost $3 and the journey takes 26m. Rome2rio's Travel Guide series provide vital information for the global traveller. Read our range of informative guides on popular transport routes and companies - including How to travel India's Golden Triangle, Italian Lakes: Getting around by train and French strikes 2018: What are my alternative transport options? - to help you get the most out of your next trip. Brigham Young University (BYU), sometimes referred to colloquially as The Y, is a private research university located in Provo, Utah, United States. It is owned and operated by The Church of Jesus Christ of Latter-day Saints (LDS Church), and excluding online students, is the largest religious university and the third largest private university in the United States, with 33,363 on-campus students. Approximately 99 percent of the students are members of the LDS Church, and one-third of its U.S. students are from Utah. Bridal Veil Falls is a 607 ft double cataract waterfall in the south end of Provo Canyon, close to US189 in Utah, United States. Sundance Mountain Resort is a ski resort located 13 mi northeast of Provo, Utah. It spans over 5000 acre on the slopes of Mount Timpanogos in Utah's Wasatch Range. Alpine skiing began on the site in 1944. Actor Robert Redford acquired the area in 1968, and established a year-round resort which would later spawn the independent Sundance Film Festival and the non-profit Sundance Institute. Sundance is committed to the balance of art, nature and community. Timpanogos Cave National Monument is a United States National Monument protecting the Timpanogos Cave Historic District and a cave system on Mount Timpanogos in the Wasatch Mountains in American Fork Canyon near American Fork, Utah, in the United States. The site is managed by the National Park Service. The 1.5 mi trail to the cave is steep, gaining close to 1000 ft, but paved and fairly wide, so the caves are accessible to most. The three caves of the system, one of which is specifically called Timpanogos Cave, are only viewable on guided tours when the monument is open, usually from May through September depending on snow conditions and funding. There is the standard tour going through the cave system, and an Introduction to Caving tour which teaches Leave No Trace caving and goes further into Hansen Cave. Rome2rio makes travelling from Orem to Orem Central Station easy. Rome2rio is a door-to-door travel information and booking engine, helping you get to and from any location in the world. Find all the transport options for your trip from Orem to Orem Central Station right here. Rome2rio displays up to date schedules, route maps, journey times and estimated fares from relevant transport operators, ensuring you can make an informed decision about which option will suit you best. Rome2rio also offers online bookings for selected operators, making reservations easy and straightforward.